Tired of applying for visas? Want to become a global citizen? Did you know you can own an alternative passport through an investment starting at $100,000? OPEN HOUSE (By appointment only): Feb 26, 2019 8 am – 8 p.m.
Here’s how to obtain a second citizenship. The Caribbean nations have led the world in their highly innovative investment options with originating the multi-billion dollar investment immigration industry. When the two-island federation of St. Kitts & Nevis received its independence from the United Kingdom in 1983 and within 1984, the nation launched the first ever citizenship-by-investment program (CBI) to attract much-needed foreign investments into the country. Shortly after, neighboring country the Common Wealth of Dominica launched a similar investment option to grant foreigner its passport. Soon, Antigua and Barbuda, Grenada, and St. Lucia activated their own CBI programs. Investment immigration, also known as citizenship-by-investment, are government-approved programs offering the rich and the richest the opportunity to invest money into real estate, business, government bonds, or donate directly to the government – and acquire a new nationality. The concept of traveling freely or to expand businesses without boundaries grew trending amongst multimillionaires, the ultra-rich, as well as the new rich. Asian & expat affluents became attracted to this relative concept- causing a new wave of interests in investing for a Caribbean passport. Starting price range varies per country. The concept is relatively new in Thailand, however it’s a proven concept for China and the rest of AEC countries like Vietnam. Find out more and secure your family’s future! Schedule an appointment today at our Empire Office! 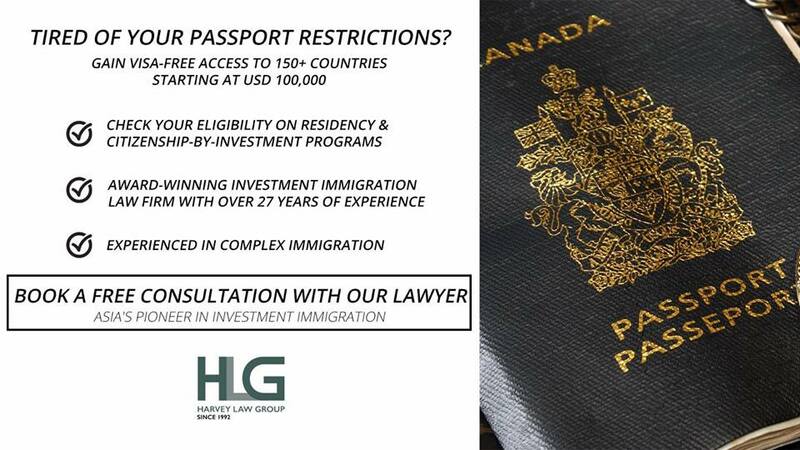 Top Caribbean Real Estate Citizenship-by-Investment Programs – Get Your Second Passport!